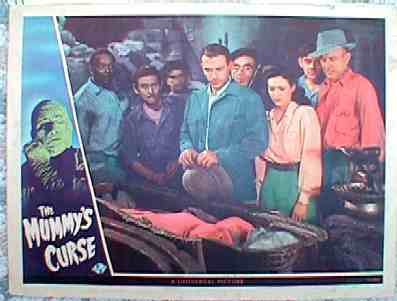 1944 - Original lobby card with Mummy scene in coffin. Original Universal lobby cards and all movie posters have, as most collectors know, gone through the roof over the past few years. 1951 - Great scene with Chaney as "The Mummy". Also nice border art! Realart re-release.